3-Day hands-on workshops for educators, mentors, and consultants. Get certified. Become a coach. Leverage our platform. Find companies seeking implementation help with Continuous Innovation. Use proven systems and processes with your clients to achieve the right results. Move away from short-term to high-value engagements. There are two leaps of faith in innovation: Can we build it and will anyone care? Most products fail not because entrepreneurs fail to build what they set out to build, but because they waste needless time, money, and effort building the wrong product. In other words, they build something nobody wants. The job of a mentor isn’t to give entrepreneurs all the answers but rather to ask the right questions. Rather than providing overly prescriptive tactics that have a limited expiration date, a mentor should instead guide the strategy with time tested principles and a toolbox of business model design patterns. That's what we teach you how to do. In order to achieve breakthrough innovation, you shouldn’t be limiting yourself to any one of these frameworks, but rather using all three…and possibly more. The way you do that is by thinking in terms of a framework of frameworks. The Continuous Innovation Framework is a curated collection of the best frameworks, methodologies, and tactics for building what customers want. Our team is made up of practicing entrepreneurs, intrapreneurs, educators, and mentors that span the globe. That means we consult with many of the top universities, accelerators, and organizations around the world. To date, we have put over 1,000 teams through this program spanning over 20 countries. But that's not what makes us different. What sets us apart is that we are first and foremost practicing entrepreneurs. Entrepreneurship is like a martial art. You can't simply read or teach it, you have to live it. We practice what we teach and the more we coach, the more we learn and share, the better results everyone gets. We certify a select number of Coaches each year. 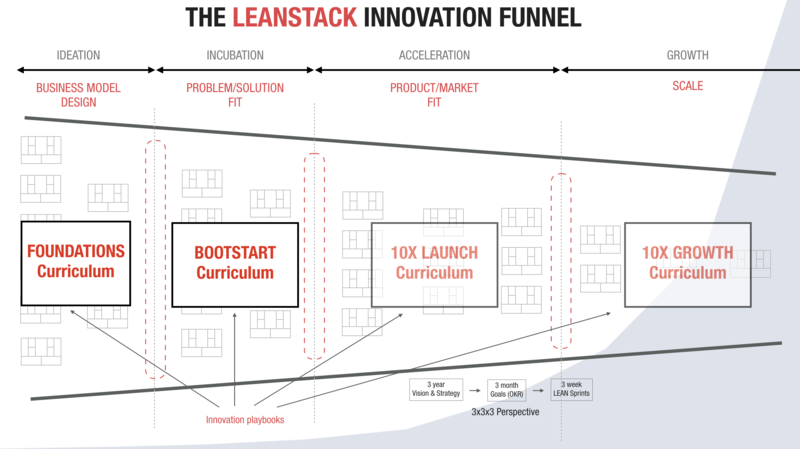 A LEANSTACK Certified Coach can consult with individual businesses to help them implement Continuous Innovation principles and create an innovation process that works. LEANSTACK supports these Coaches with an immersive 3-day training, a license to use our framework, and qualified leads. You'll learn battle-tested patterns and systems for putting the Continuous Innovation Framework to practice at various stages of the innovation funnel whether at a startup accelerator, corporate innovation lab, or a university classroom. This workshop is designed for educators, mentors, and consultants. Consultants who want to drive greater business results for their clients in their new and/or existing products. Certification training focuses on key mindsets, skills, and playbooks for implementing a successful Continuous Innovation transformation. You achieve your level 1 certification (CI-Trainer) by completing one of our mentor training workshops. In these workshops you'll learn best-practices and gain practical experierence applying the framework in a real world project. Prior to attending a workshop, individuals are highly encouraged to read our books and articles, and gain some real-world experience applying Continuous Innovation. After the training, you will be able to roll out your own training, bootcamps, and coach teams using the LEANSTACK framework. As our Continuous Innovation framework is constantly evolving, we encourage you to renew your certification yearly. After achieving your level 1 trainer certification, you will be invited to join our mentor network. The goal of the mentor network is accelerating your journey to CI mastery by providing more hands-on opportunities for continuous learning as well as partnership and business development opportunities. Ideal for academics, mentors, and consultants who want to teach and implement Continuous Innovation. Ideal for academics, mentors, and consultants looking for ongoing CI training to level up their skills. Ideal for consultants who want to lead and manage Continuous Innovation transformation projects. Ideal for organizations looking for additional co-branding and business development opportunities. The journey to certification begins with attending a Mentor Training workshop. Inspiring, and concrete applicable knowledge! I feel a deeper understanding of the principles behind the concepts. I feel like I got very raw and non-fluffy concepts, which is what I came for. I've been relentlessly searching for training/ resources that truly reflect reality, and this one nailed it. Excitement, feeling more clarity as to how to approach some current projects. "This has been therapy". Meaning, we all start a business with a certain mindset, an outdated instruction manual that leaves us chasing our tails in a downward spiral to madness. The world needs the accumalated bucket of knowledge that is leanstack, to cut through the noise, and simplify the complex outdated "thinking" that has resulted in far to many founders hitting a wall, and to many businesses building a product that nobody actually wanted. 3-Day hands-on workshops for educators, mentors, and consultants. Get certified. Become a partner. Need a workshop designed to fit your team? 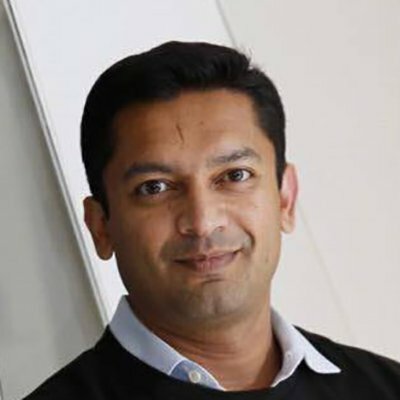 Ash Maurya is the author of two bestselling books Running Lean and Scaling Lean, and is also the creator of the highly popular one-page business modeling tool “Lean Canvas”. The workshop is run over 3 full days of lectures, interactive Q&A, and hands-on practice. Day 1 outlines the coaching systems and processes we’ve developed which you get to apply with live teams during Day 2 and Day 3. Day 2 and Day 3 are run with coaches and entrepreneurs. Startups are fundamentally about conversations. The rest of the workshop is themed around the 4 critical conversations every entrepreneur needs to be skilled at performing. Coaches get hands on practice by helping facilitate these conversations. High-level overview of the LEANSTACK process Learn how LEANSTACK extends the Lean Startup methodology with business model design, design thinking, and jobs-to-be-done concepts. 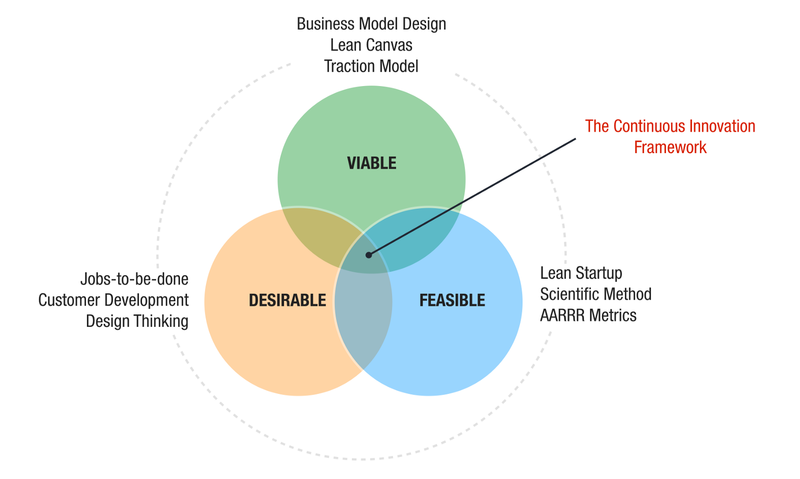 How to baseline an entrepreneur using a Lean Canvas Overview of traction modeling and the LEAN Sprints process. Entrepreneurs capture and share their ideas using a Lean Canvas. Coaches apply the Lean Canvas diagnostic script to help them identify what’s riskiest and formulate a validation plan. Test whether an idea is worth pursuing using Fermi estimations. Learn how to measure significant milestones using a traction roadmap. Entrepreneurs test and plot their ideas on a Traction Model. Coaches help them refine the model and update the validation plan. Assemble problem insights into an offer Learn how to test unique value propositions and pricing using advanced techniques like prizing. 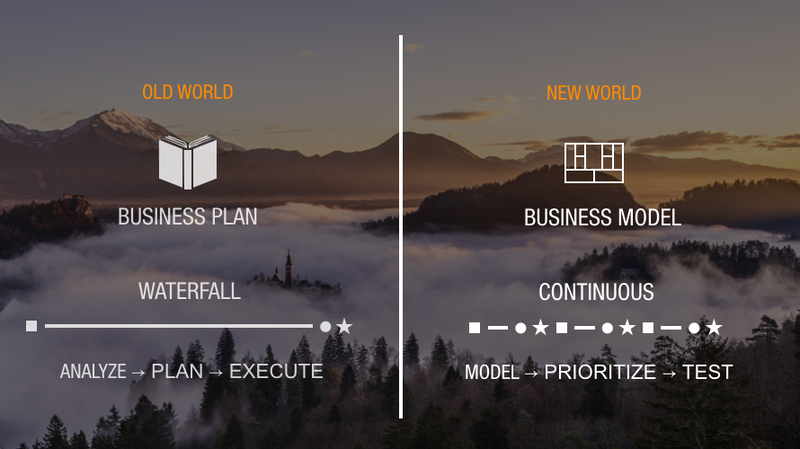 The 3x3x3 Perspective for Capturing Vision, Strategy, and Product. Learn how to define, measure, and communicate progress to stakeholders using LEAN Sprints. Best-practices for crafting and running good experiments. Entrepreneurs fill out a Sprint Board to capture their goal, riskiest assumptions, validation plans, and experiments. Coaches help them refine the board.